These days I feel like every celebrity is endorsing some kind of “magical supplement”. Whether it is a detox tea, fat burning pill, appetite suppressant, etc, there seems to be a supplement to cure almost any problem. Want to lose weight? Take a supplement. Want to build muscle? Take a supplement. Whether you’re active or not (and I hope you are!) a good quality protein powder is very important. Most American’s lack protein in their diets. We tend to eat a diet that is higher in carbs and less in protein. However protein is crucial for maintaining a healthy body composition. On top of that, if you’re active then your protein requirements will increase. 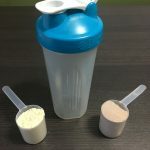 Protein powder can make it easier to get enough protein during the day. I always recommend my clients choose a brand that is all-natural, with minimal ingredients, and no added sugar or artificial sweeteners. Whey protein is the most popular choice on the market. This is what I recommend to my clients because it is a fast digesting protein. However anyone who is sensitive to dairy should choose a dairy free alternative (look for vegan protein powders). 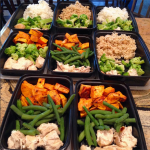 Even though I help my clients make healthier dietary choices, I realize that nobody is perfect. Multi-vitamins help fill the gaps in our diets. When choosing a multi-vitamin, look for one with a small list of “other” ingredients. These are typically found below the nutritional breakdown of the vitamin. Some companies add things like sugar, lactose, and preservatives to their vitamins which you do not need. 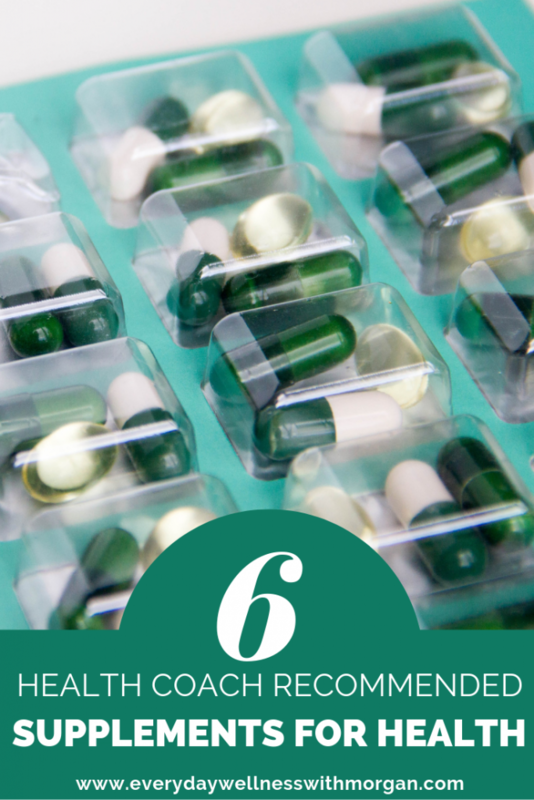 If possible, also look for vitamins that come in capsule form, as they are more easily digested compared to tablets. And if you really want the best, look for one derived from whole foods (they should say “whole food multivitamin”). It may be hard to understand how ingesting live bacteria can be helpful, but it really is! Probiotics have undergone a lot of research lately, and the results are positive. According to an article by Harvard Health, probiotic’s “gut-dwelling bacteria keep pathogens (harmful microorganisms) in check, aid digestion and nutrient absorption, and contribute to immune function” (see the full article here). I typically recommend probiotics that contain the Lactobacillus bacteria because there have been numerous studies that show the health benefits. 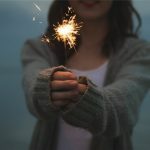 Some of the benefits include: decreased symptoms from gastrointestinal issues (like Crohns and IBS), decreased risk of UTIs and vaginal yeast infections, treatment for acid reflux, and improvement in leaky gut. Omega 3’s are quickly showing up in many products are grocery store shelves. This is due to the overwhelming amount of research out there that shows positive effects of omega 3 consumption. 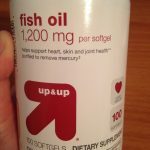 Check out previous article about why I recommend fish oil supplements to almost all of my clients. Glutamine supplementation isn’t just for bodybuilders anymore! According to an article by Precision Nutrition, “Glutamine is a conditionally essential amino acid, which means that normally our bodies don’t need it from our diet. Exogeneous glutamine (in other words, glutamine we supplement or consume in food) is essential only under certain conditions, which include stress, trauma, muscular dystrophy, and illness, which can decrease glutamine levels by up to 50% (you can read the full article here). For any clients undergoing severe exercise training (elite athletes), those who are eating a very low calorie diet and excessively exercising, and those who suffer from gastrointestinal issues, glutamine can be a miracle worker! Glutamine supplementation has become routine to promote gut health, help prevent muscle wasting in high exercise, low calorie lifestyles, and can even help treat some cancers. BCAAs are something that I exclusively recommend to my physically active clients. Branched Chain Amino Acids (BCAAs) have been linked to muscle recovery and muscle growth. Check out my previous article to learn more about the science behind BCAA supplementation. Therefore, clients that are involved in strength training and who are looking to increase lean muscle mass will benefit from a BCAA supplement. And that’s it! You’ll notice that I didn’t include a lot of things out there on the market. That doesn’t mean that I never recommend them to my clients, but it means it’s just less common. For example, I don’t recommend vitamin C to all of my clients because in all honesty, most people get more than enough through their diet (or through their multivitamin). And when you consume more vitamin C than your body needs, you’re ultimately just excreting it in your urine. So why pay money for that? Please understand that this list has exceptions. For example, if a client is on major blood thinners, than I would never recommend Omega 3’s since they have a slight blood thinning effect. And as always, speak to your doctor before starting any new supplement, especially if you are on any medications.